The fact that this variation will run on said small tablets is probably what contributed to it losing the word “Phone” from its name, though with the new moniker many people could remember the old Windows Mobile, which may not be the best thing for Microsoft. Anyway, on the desktop the situation is simpler, as it’s pretty similar to what we’ve seen with past Windows releases. Windows 10 Home will be destined for the general consumer, as its name implies, while Windows 10 Pro will be aimed at businesses – small ones, that is. For bigger corporate customers, Microsoft will have Windows 10 Enterprise on hand, and they will also be able to choose devices running Windows 10 Mobile Enterprise. Finally, there’s going to be something called Windows 10 Education, which will be based on Windows 10 Enterprise, but tailor-made for the needs of schools – probably in a bid to get them off Chrome OS-running hardware. 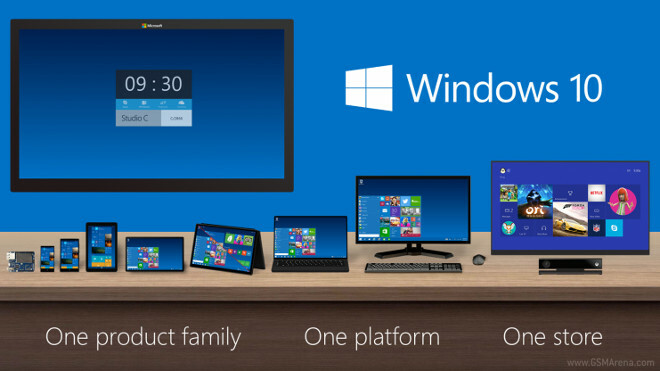 Windows 10 will be released “this summer” in 190 countries and 111 languages. As previously announced, Windows 10 Home, Windows 10 Pro, and Windows 10 Mobile will be available for free for qualifying devices running Windows 7, Windows 8.1, or Windows Phone 8.1, if you upgrade in the first year after launch.